• January 29, 1933 – Amelia Earhart piloted a Ford Trimotor around the Helena Valley. • July 15, 1933 – Going-to-the-Sun highway was dedicated. • March 2, 1933 – Montana Senator Thomas Walsh died on his way to Washington D.C. to take an appointment as the U.S Attorney General. • October 1933 – Construction began on Fort Peck Dam. • 1934 – A four-and-a-half month long peaceful strike by the International Mine, Mill and Smelter workers revived union activity in the state. • 1935 – The Montana Highway Patrol was formed. • May 6, 1935 – President Roosevelt created the Works Progress Administration. • October 1935 – A series of earthquakes killed four people and caused $4 million in damage to buildings, including Helena High School. • December 15, 1935 – Bill Holt was named to replace Gov. Frank Cooney, who died in office. • November 23, 1936 – Fort Peck Dam was the featured cover story of the first issue of LIFE magazine. • Jan. 4, 1937 – Roy Ayers was sworn in as governor. • January 10, 1938 – A Northwest Airlines flight crashed near Bozeman, killing 10. • April 22, 1938 – The U.S. Government transferred Lewis and Clark Caverns to the state of Montana. The area would become the first state park in 1941. • April 1938 – Kerr Dam near Polson became operational. • June 19, 1938 – The Milwaukee Road “Olympian” derailed near Miles City, with 47 dead and 75 injured. • Sept.22, 1938 – A major landslide at the Fort Peck Dam construction site killed 8 men. • July 12, 1940 – Missoula smokejumpers Earl Cooley and Rufus Robinson made the first parachute jump on a fire. • Sept. 11, 1940 – Fire destroyed the Northern Hotel and damaged 13 other Billings businesses. • Sept. 16, 1940 – The National Guard was inducted into the Regular Army. • Sept. 25, 1940 – Congress passed the first peacetime draft. 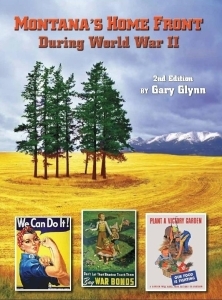 Learn more about Montana History Calender 1930s and the state’s history during the war years.